Doesn’t it seem that once you get one running injury under control another one creeps out right behind it? It can be so frustrating trying to prevent running injuries! One of the best ways to protect yourself from running injuries is to do stretches, but doing this is sometimes not enough. Your body needs alignment and proper stretches to prevent injuries. Your body needs a program that does all this to prevent running injuries. This is where Runner’s Yoga comes in. This system has helped me stay injury free for awhile now! compliments your running program and your life! Awhile back… I had a nagging hip injury that started from running with shin splints, caused by improper posture and strengthening. I came upon a site where a person commented negatively about running and how the injuries runner’s get – eventually cripple the body! The commenter thought running was really bad for you and quoted. What a horrible thing to read when I’ve been running for so many years! Runner’s do get injuries and quite frequently. Needless to say I felt a bit compelled and this prompted my curiosity to do some research to find out why runner’s have so many injuries and if running really had the potential of being listed as an occupational hazard. What I found was running is actually better for your health than you think! Running is excellent for your bones! Running is excellent for your muscles! Running is excellent for your cardiovascular system! Running is excellent for your respiratory system! Running is excellent, excellent for your everything! Running actually regenerates all the cells in your body and can make you look and feel younger right down to your cellular level. The long and short of it, runner’s do suffer a lot of injuries. So what’s the problem then, why are all of us runners getting injuries? When you age you lose strength and flexibility even if you’re active! Ah ha…It’s inevitable, it just happens because we become less active in a 24 hour period. Things that age and don’t get used, become brittle and break. Toddlers, they move in and around, strengthening and flexing their little muscles onto couches, floors and chairs and are great at developing their flexibility and strength! Yes, toddlers are building many muscles we don’t even know exist any more! The last time you crawled and climbed all around like a toddler was probably when you were a toddler. Running is a great exercise and builds some muscles, but not enough to keep you strong and prevent you from running into injuries. Doing yoga will increase your flexibility, so your muscles and joints stay limber and flex better. Your body gradually aligns and strengthens so every running step is nice and strong. Yoga builds strength in your joints and muscle and this is a big plus. Those muscles that are not being used while you run are built during the Runner’s Yoga process. The large and small muscles support one another. A lot of runners use Runner’s Yoga! Doing Yoga will ignite every part of your body that needs to be ignited, because you are giving your body the attention it needs, hence it will prevent running injuries! Runner’s Yoga is a Total Mind-Body Workout you can do on your own … almost anywhere … in just 30 minutes! Your Running Program Needs a Yoga Program! It’s for all levels of fitness and flexibility. If you are interested in giving your body a lift this program adds strength, agility and inner peace. I strongly recommend this program. It ‘s easy, now you can order by Paypal! "Runner's Yoga" love it…I love this post because of the great solutions you share…I love to run, & I am in my 50ies been doing it all my life & I also do yoga so I am always aware of what my body is saying to me. Thank you for an awesome post. I was told to get more flexible i should do yoga.. but i really feel weird going into that class.. Excellent post, Gilly! 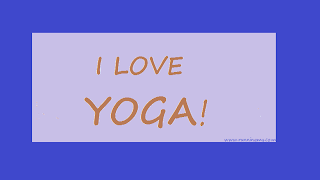 Yoga is on my "to do" list for 2014. I'm working out at home now. I love it! I'm not sure I'd be able to run because of my knees but I do walk a lot in the warm weather. You are such an inspiration. I had back surgery and yoga helped me control the pain after surgery without having to take as many pain meds. Wish I had known about this about 6 years ago when I was training for a marathon. At mile 16 my IT band started complaining big time. It didn't occur to me at the time that yoga might help. Darn! I just bought a box of Yoga for beginners DVDs and I am looking forward to use them. It will help me a lot with stretching and ease the back pain from sitting at my desk for so long, every day. 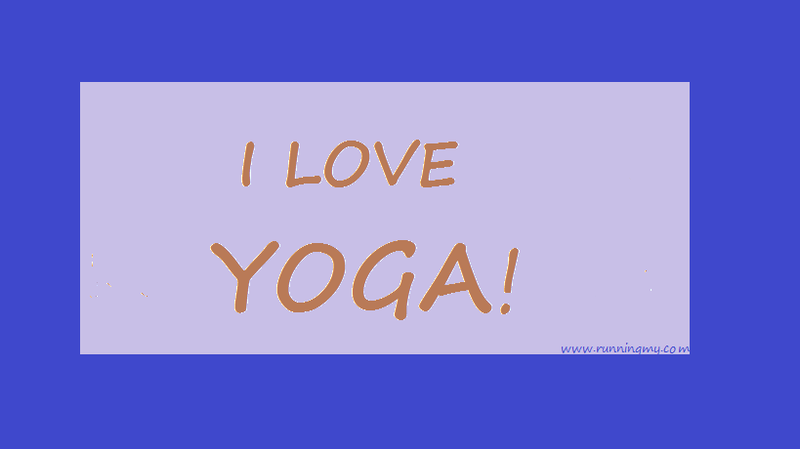 I understand Yoga is one of the best stretching and relaxing things you can do for your body. Do you have to have to be able to balance your weight? Thank you anonymous, I'm glad I helped! Tina, it depends what yoga moves you do. You work up to more difficult yoga positions or use support close by. A lot of the beginner moves are soothing. Sharon, yes yoga is the next best thing and has so many benefits with it's gentle training. Robin I wish I was going in it with you! Don't be nervousness just think of me saying, " You can do it!" I can only run in the water and I love it!